7:00 pm - don't forget to register with plenty of time to spare! We recommend wearing your best running kit for the Media City Run and don't forget to bring something warm to wear afterwards. Is it a clear course? There WILL be pedestrians, please be aware of pedestrians, cyclists and dogs. We have marshals around the course and signs but this is not a road race, you have to pay very close attention to where you are going. We recommend you do not use earphones and you need to pay close attention to everything around you. How was Run Media City – April? 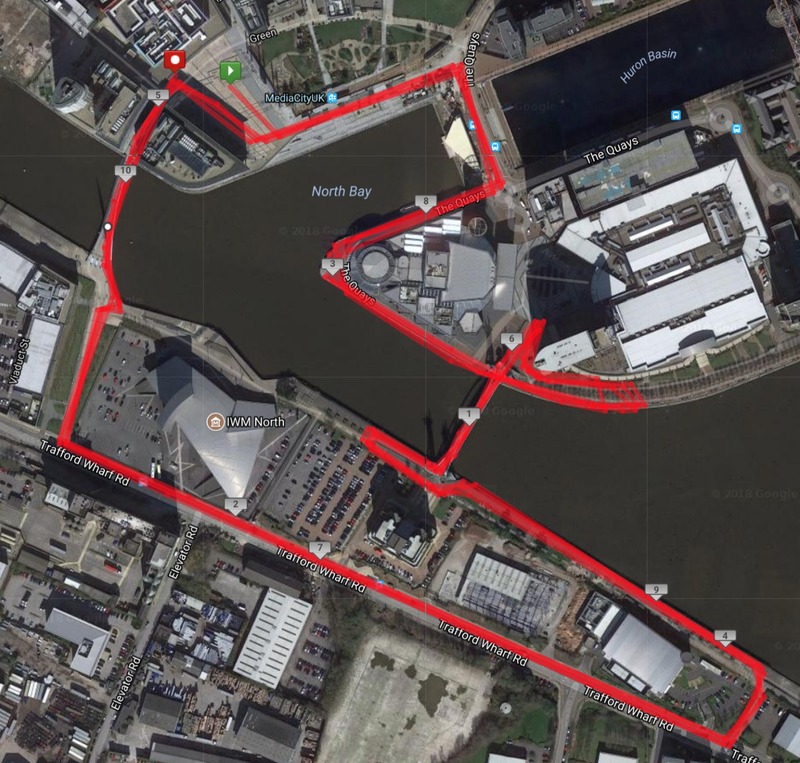 What time do all runners need to be at Media City before the 10k race starts @ 7pm on Thursday 25th April? Hi there, we would advise runners turn up around 45mins before the start time. Best of luck! Hi there, Thanks for getting in touch. Just to let you know that you will collect your race number the morning of the race at the main desk. This will be clearly signposted when you arrive at the race. Best of luck in the race!